TBBCC: Welcome to the Tampa Bay British Car Club! Map: 110 Fountain Parkway N.,(map) in St. Petersburg. TBBCC invites all area British Car Clubs and everyone to its semi annual picnic. Starts at 10:00 AM and Eats at noon. Please bring a side dish or dessert. TBBCC will provide Burgers, Hot Dogs, drinks and all the fixings. We have moved our Summer Picnic to Late Spring hoping that the weather won't be as oppresive. We do need a head count, so please RSVP to president@tampabaybritishcarclub.org and reference the Brits by the Bay Spring Picnic. brisk acceleration, and sharp braking; trading practical considerations such as passenger space, comfort, and cargo capacity for driving enjoyment. Welcome to the Tampa Bay British Car Club! We are an eclectic group of British car enthusiasts ranging from restorers to racers and everything in between. Our casual Southern hospitality shows from our event calendar of driving events, good eating, car shows, good barbeques and warm friendship. Please join our multi-marque family in Safety Harbor for our monthly meeting, or better yet monitor our events calendar and come on one of our driving tours. Throughout the year we like to drive!! Car not on the road yet? Not to worry, we've got lots of restorers in the club to give advice to get your car up and running. Not sure what parts to use or are available for your car? Again, not a problem! We've got several vendors and shop owners who can get the latest part to soup up your ride. Whatever your need for your British car, we'll help you with a solution. That's the value of belonging, come for a visit and we think you'll stay. Car shows -- We like em! Either a pick-up "show and tell", or something more formal like the TBAHC "All Brit" in Safety Harbor, we like to show and share our cars. We not only show but we help with some of the events as well, including the St. Petersburg Yacht Club Show and the British Motor Trade Association meeting in January. If you're a "hands on" person, we're the club for you. Tampa Bay British Car Club was established by combining several Marque specific clubs in late 2007. Marques represented in the club include MG, Triumph, Austin Healey, Mini, Jaguar, and Rover. Whether you're looking for mechanical tips or the best line into Turn One at Sebring, ur broad membership has lots to share. From Dade City to Manatee County, Bok Tower to Honeymoon Island we cruise West Central Florida. Should you not readily find what you're looking for on our site, please don't hesitate to contact us through our Contact Us page with either the form or one of the email addresses available. .
details click on the . This is a group of British car enthusiasts who have some lively discussions and enjoy driving their classic cars. Meets every Sunday morning 8:00 to 10:00 at The McDonalds on Tom Stuart Causeway (150th Street/ Map). Registration and set up begins at 9 am. plans an exciting day of as many as 100 classic vehicles. Contact: Tom Fant. Phone: 734-735-5383. 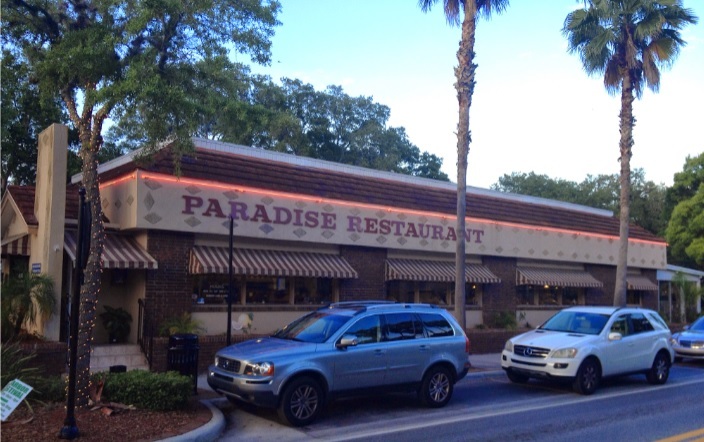 At The Paradise Restaurant, Main Street Safety Harbor. Meeting starts at 7:00 PM come early for dinner. and everyone to its semi annual picnic. Starts at 10:00 AM and Eats at noon. If your LAST name begins M to Z please bring a dessert. TBBCC will provide Burgers, Hot Dogs, drinks and all the fixings. Sunday of January each year, this year it was postponed due to weather. and neighboring states will be on display. Show Judging will take place 11:30AM to 1:30PM. Awards presented at 2:30PM. 50/50! Silent Auction! Vendors! Meet some of Pasco's Deputies and Retired K-9s! British Invasion of the Monthly Cruise-in sponsored by Larry's Car Shows. 10400 49th Street North, Clearwater, Florida (Map) 'Hot cars of all ages, great food, 50/50, card games and door prizes. Giant lighted parking lot. Donations for the local charities will gladly be accepted for registration. Bring the family!. Watch the game from an air conditioned suite, or from the adjoining seats outside. Includes unlimited food: Hot dogs, meatballs, chicken strips, salad, chips, nuts, soda, water, beer, ice cream sandwiches, cookies & more! There will be fireworks after the game! 7402 49th St N, Pinellas Park 33781.
attentive service for over 15 years. Come join us at 9:00am for our September Breakfast Quest at the Draught Haus. Relaxed, neighborhood locale with lots of craft beer options & pub grub, plus outdoor seating & TVs. The Lake Mirror Concours is the featured event of the MIDFLORIDA Auto Show weekend. Approximately 125 premium classic automobiles are invited to be displayed along the Lake Mirror Promenade on Saturday. Concours group, additional information will be requested during registration. Although a former national show winner will certainly command attention, we are equally interested in original, unrestored, rare and unusual cars. If you have a car fitting one of Lake Mirror’s premier groups, please do not hesitate submitting it for consideration. Main Street in Safety Harbor. This year's Featured Marque - TBD. There will be NO November Club Meeting. Happy Thanksgiving! 418 Cleveland Street, Downtown Clearwater. Parking is in the rear. There will be NO December Club Meeting. Happy Holidays! boosted by water views, two bars & live music. If your LAST name begins with I to Z please bring a Side Dish or Appetizer.